Michel Samuel is a musician from Venezuela, he began his musical studies in the year 2003 in San Juan de los Morros, Venezuela, he furthermore continues his musical studies in the Latin-American academy of flutes and in the Simon Bolivar conservatory, in the city of Caracas where he participated in various national and international seminars and flute master´s encounters, where he received classes and master classes with professors of national and international renown such as Alexa Still (Australia), Sandrine Tilly (france), Peter Lukas Graf (Switzerland, flute deacon of international renown), Michel Hassel (Germany), Phillipe Bernold (france), Lars Nilson (Argentina), Davide Formissano (Italy), Pedro Eustache (performer of the OST of the passion of Christ) among others. 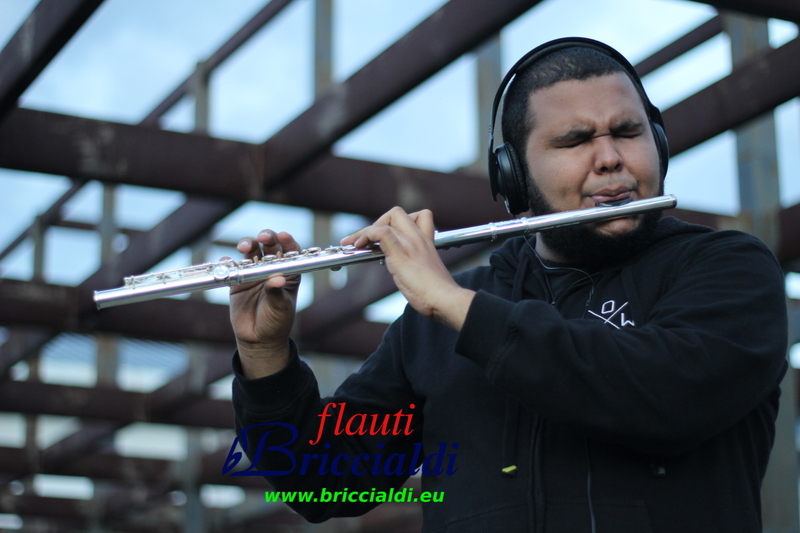 He was one of the lines of flutes of the Symphonic Orchestra of Guárico state, where he has played as a soloist in various opportunities; He also has participated as a soloist in many concerts of the flute academy where his studied, of symphonic Orchestra of Guárico state and symphonic orchestra of Guayana along with the Austrian guitarist Arnoldo Moreno. In the pedagogical area he has been a teacher and tutor in the flute subject of Guárico state, being instructor of the Simon Bolivar Conservatory, he also studied lyrical chant with Margot Pares Reyna and was a member of Symphonic National choir, where he participated in important plays such as Carmen du Bizet on the direction of Sir Simon Rattle (director of Berlin Philarmonic Orchestra), likewise under the direction of Gustavo Dudamel and Christian Vazquez. He is a saxophonist, he belonged to the Simon Bolivar Big Band Jazz directed by the well-known drummer Andres Briceño and Venezuela Big Band Jazz directed by Pablo Gil (saxophonist), he studied jazz and improvisation with a master Pablo Gil and Pedro Eustache, and studied in Austria, Vienna in the Jam Music Lab Conservatory, where he also played in different scenarios playing Latin-American Music. At the present moment he is a musical Director of the CAPG “Como Águilas” (where he is an associate pastorate) and of the soul and gospel band “Hechos29” with whom he recorded his first CD, he is the soloist of the Road jazz band. Likewise he recorded his own record as a soloist “Michel Samuel and Sipagan boys trio” of instrumental Venezuelan music, likewise he majored in law school as a lawyer and in the biblical institute as a theologist. He won the 45 International Joropo tournament in Villavicencio, Colombia (with the highest honor). He is studying magistrate in flute in the Simon Bolivar University in Caracas with the master Andres Eloy Rodriguez.